IP finance: How do you quantify loss of goodwill in the right to use a generic term? How do you quantify loss of goodwill in the right to use a generic term? "The third main issue I have to decide is whether Diageo have suffered, or are likely to suffer, damage as a result of the misrepresentation. Diageo contend that they have suffered, or are likely to suffer, damage under two heads. The first is loss of sales of SMIRNOFF. The second is erosion of the distinctiveness of the term "vodka". Diageo accept that: (i) sales lost due to mere competition between VODKAT and vodka, as opposed to sales lost due to confusion, are irrelevant; (ii) most sales lost due to confusion will be sales of brands of vodka other than SMIRNOFF; and (iii) Diageo cannot rely upon lost sales of other brands. Nevertheless, Diageo contend that they have lost some sales of SMIRNOFF to VODKAT due to confusion. In the on-trade something like 85% of the vodka sold on Optics is SMIRNOFF. ... VODKAT could have a significant effect on the sales of SMIRNOFF in this sector. The majority of these losses must be discounted as being due merely to competition from a cheaper product. Nevertheless, I am satisfied that there will have been some sales lost due to confusion. What I have in mind in particular is the scenario where a pub or bar stocks SMIRNOFF as its main vodka and VODKAT as the "house double" vodka. A customer who is confused will accept the VODKAT, whereas a customer who is not confused may well insist on the real thing. As to sales through off-licences, no doubt most lost sales will be of other brands. 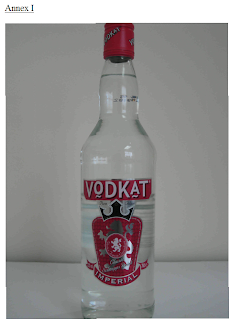 Nevertheless in 2007 A.C. Nielsen estimated that 3% of VODKAT sales were made at the expense of SMIRNOFF. Again, some of these will be due to mere competition, but I am satisfied that others will be due to confusion. This is particularly so in convenience stores where the price differential is often much less than in supermarkets. Even where there is a price differential, ... consumers may decide to buy two bottles of VODKAT rather than one bottle of SMIRNOFF. This is particularly likely in the case of consumers who are under the impression that VODKAT is a weaker version of vodka. Even if there was no evidence of lost sales, I consider that it is clear that ICB's marketing of VODKAT is likely to erode the distinctiveness of the term "vodka". It will cease to be a term reserved for 37.5% ABV spirits, and will come to be seen as a term applicable to lower strength products which include fermented alcohol. Indeed, I think there is some evidence that this is already starting to happen. The advent of the me-too products like VODKOVA is likely to accelerate this trend if it is not checked". The Russian word vodka should only be applied to pure aqueous ethanolic solutions with an ABV of 40% or greater. The tendency of many firms to water down their spirit and call it "vodka" should be deprecated.